Below are picture of a newly built 2,775 cc Corvair running in my front yard today. It came to life at 3:45 PM after 2 seconds of cranking, and put down a perfect cam break in run. The engine is completely built out of FlyCorvair/SPA parts, and represents a great example of Corvair power at a moderate cost. 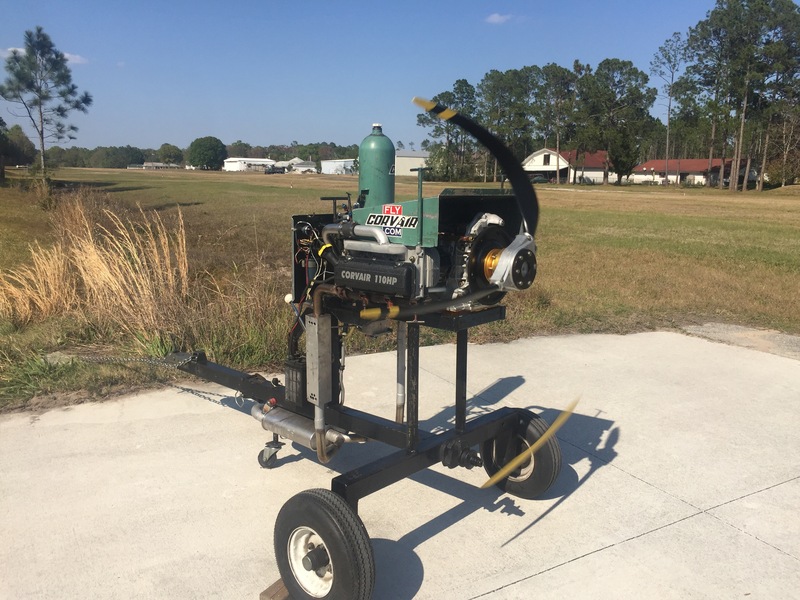 The engine was ordered by a Zenith owner who bought a complete and flying 601XLB with a older, tight budget built, 2,700 engine. The owner liked the combination, but realized that his existing power plant was not state of the art a decade ago, far less today. Ordering a fresh engine from us was the fastest way to correct this. Although we make engine in several different displacements and outputs, we make them at only one quality level. The 2,775 is the smallest of our production engines, but it has long proven to be plenty of power for a Zenith 601/650. The first 2,775 Corvair was the engine I built for our own Zenith 601XL in 2004. 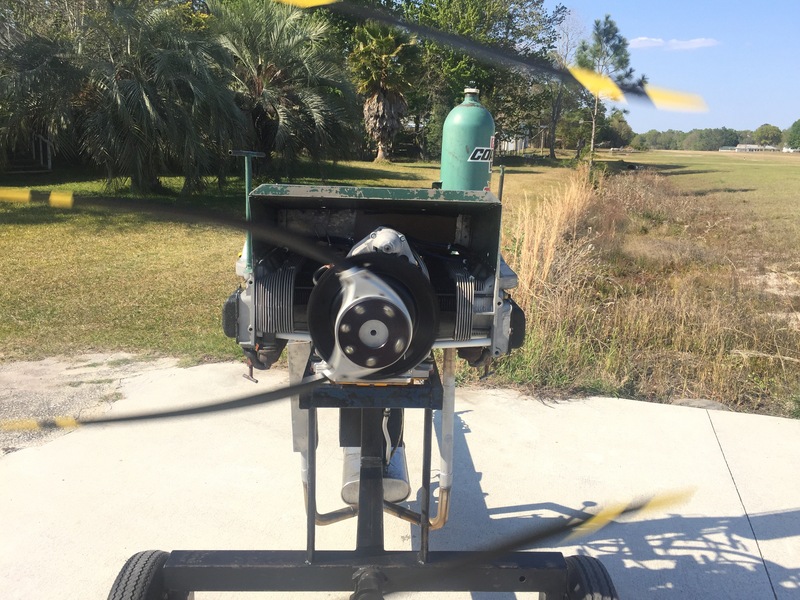 Thirteen years later, it has a great number of refinements, but it is still a smooth running American, designed, built and Converted aircraft engine. 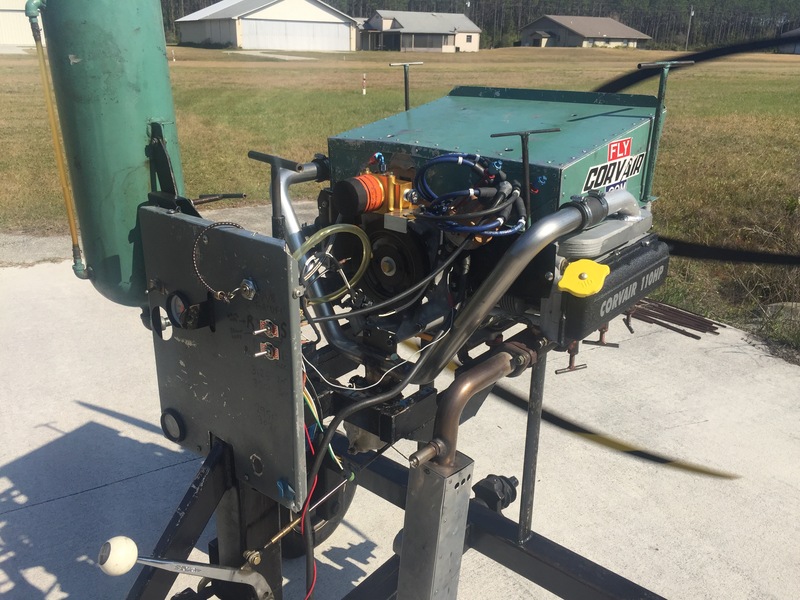 If you would like to find out more about buying a Corvair for your plane, please call Rachel at the engine hot line 904 626 7777, extension #1. Above, the head on view. Someone smarter than myself about digital cameras will have to explain how the image is reconstructed that places the prop blades at such angles. Please do not try to explain it to me, I am a simple aircraft mechanic who barely understood how chemical film worked. Above, this is what a valve cover finished in “Retro Black” looks like. Engine in operation, viewed from rear quarter. This engine features all the same quality parts inside as larger Corvairs we build, but just in a smaller bore size. Above, engine a few minutes into it’s 30 minute cam break in run. This is followed by an inspection and a longer run to make sure the cylinders pistons and rings are set. A special note of thanks goes out to the owner of this engine. He ordered is a while back, before my father passed, and he was pretty civil about waiting for me to come back after the services and CC#39 to finish. After tomorrow’s runs, the engine will be crated and on the way to him shortly. This was the last engine on the order sheet to be assembled. The “Engine in a box” kit engines are selling very well, but with the Weseman’s covering the distribution of my parts, I am now actually caught up on orders for fully assembled engines. I have not been able to type that sentence in several years. The combination that made fixing this possible is two fold: Today the Weseman’s work is complementary to mine, they provide every Corvair part I don’t, particularly the heads. For many years every engine I build used Falcon heads, and they were good, but produced in a trickle that left people who ordered an engine from me waiting. Today the Weseman’s make heads which are every bit as good or better, and they do it on an industrial scale. They have made more heads in the last 2 years than Falcon did in ten. Second, having the Wesemans distribute my parts has allowed me to focus on building them and teaching at the colleges, and left me the time to spend with family. 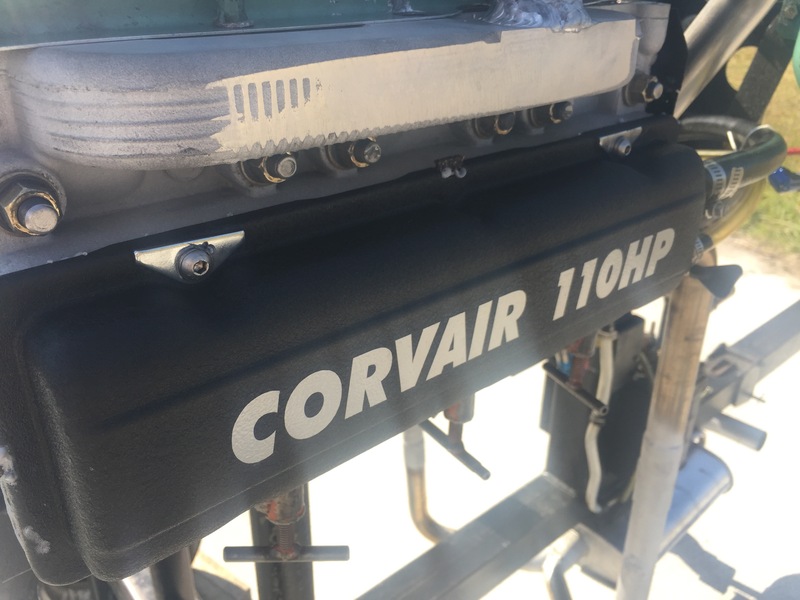 So while the picture above may look like just another running Corvair engine, it is a milestone I am most grateful to have reached with the help of friends. Think of a digital camera as a very inaccurate strobe light that takes an image layering down from the top of the view to tje bottom. As it moves the prop will be at a different location as the frame processes. This is done at a standard rate of 60 frames per second. Larry, I meant to type “do not try to explain this to me” Just think of my 54 year old brain as a very inaccurate calculator, that has too much coffee poured through it in recent decades, and is now best left to simple tasks like building engines. ww.